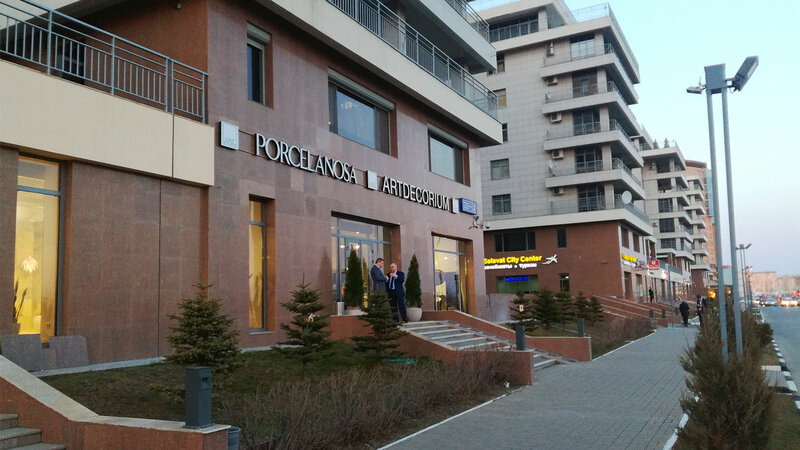 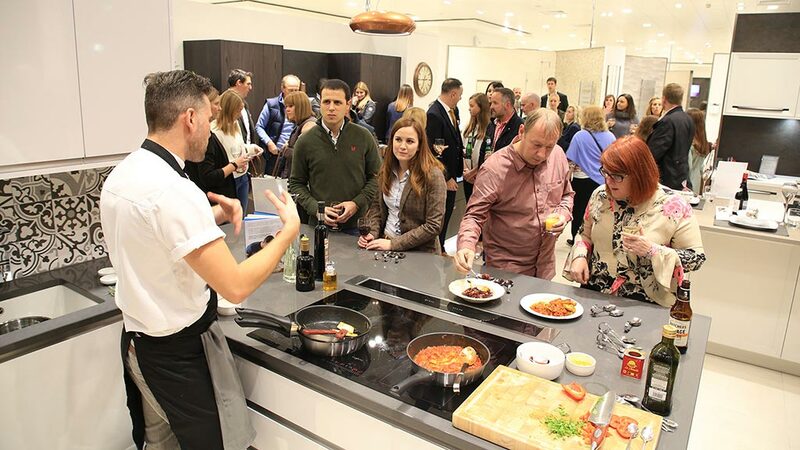 Last 9th November 2017 celebrity chef, Dean Edwards fed a selection of hungry guest at Porcleanosa’s Bristol ‘Kitchen Event’. 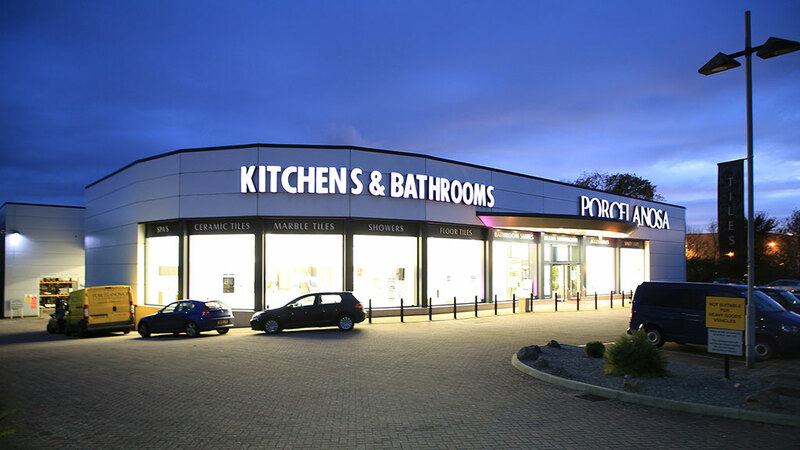 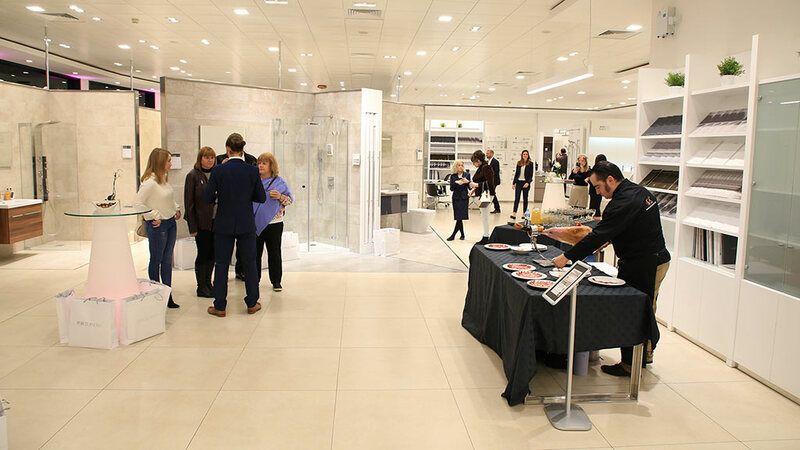 The event was set to celebrate the introduction of brand new kitchen displays to the Bristol show room and saw Dean swap his usual TV kitchen for kitchens from the Emotions Range and Residence Range from Porcelanosa. 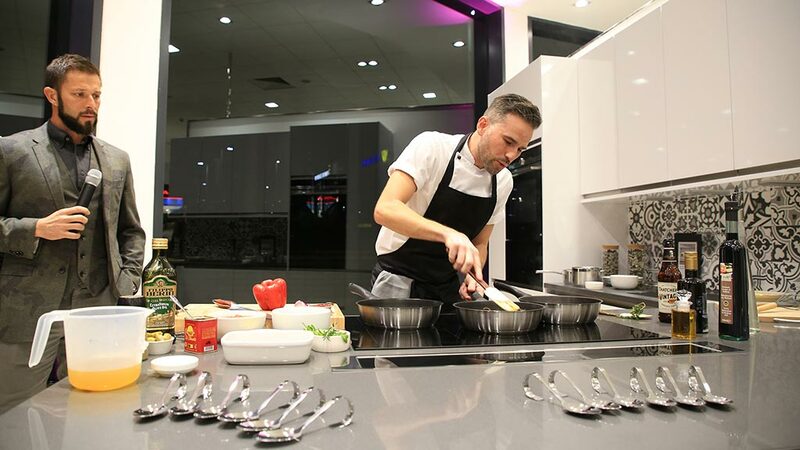 The Emotions kitchen collection by Gamadecor combines functionality and design together with avant-garde materials, resulting in an aesthetic proposal which adapts to the real needs of the user. 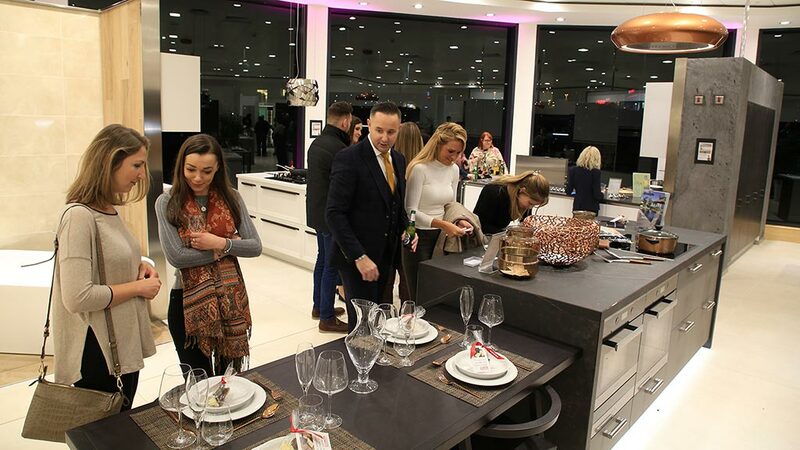 The range boasts ergonomic design, high quality materials, larger storage capacity, scalable storage options and sliding working tables. 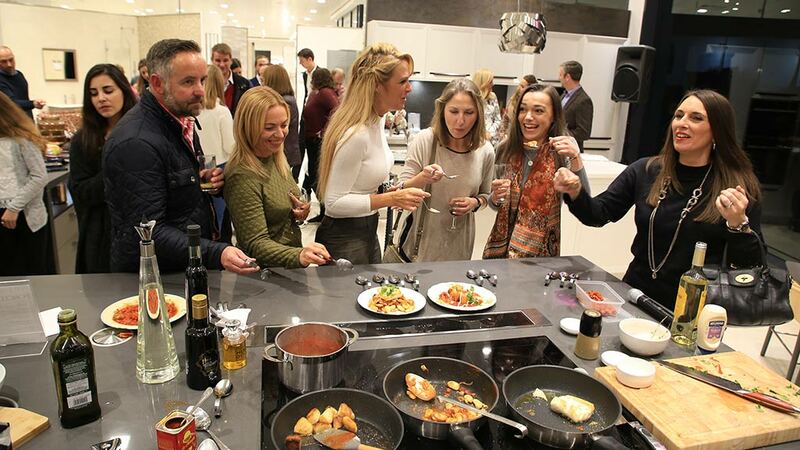 With numerous exclusive designs thanks to a wide range of finishes and a selection of more than 60 colours the Emotions range offers a kitchen to meet the needs of all customers. 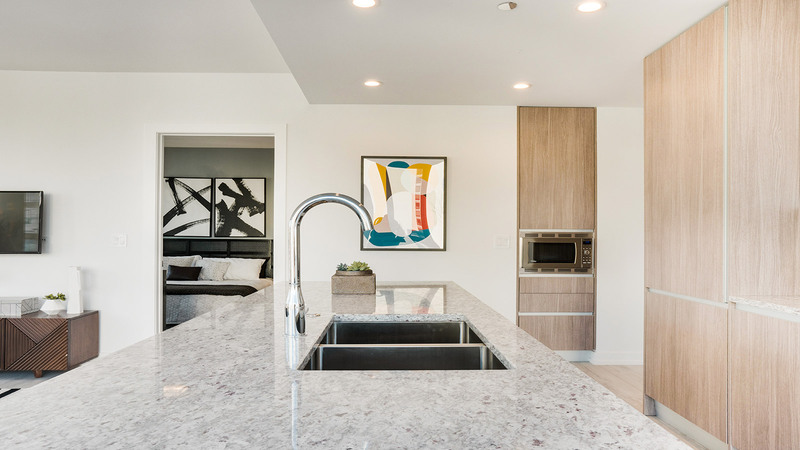 Aimed at the most demanding projects Residence range kitchens are highlighted by their cutting-edge aesthetics and technically superior functionality, and they bank on quality, style and elegance in all their models. 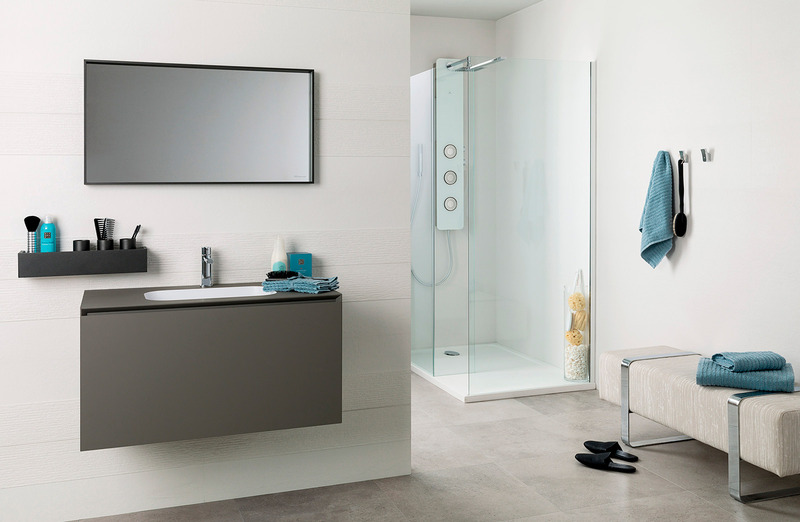 In addition to this, the versatility stands out working as the main aesthetic advantage, since it allows for creating texture and colour combinations in a wide range of different laminate and layered finishes. 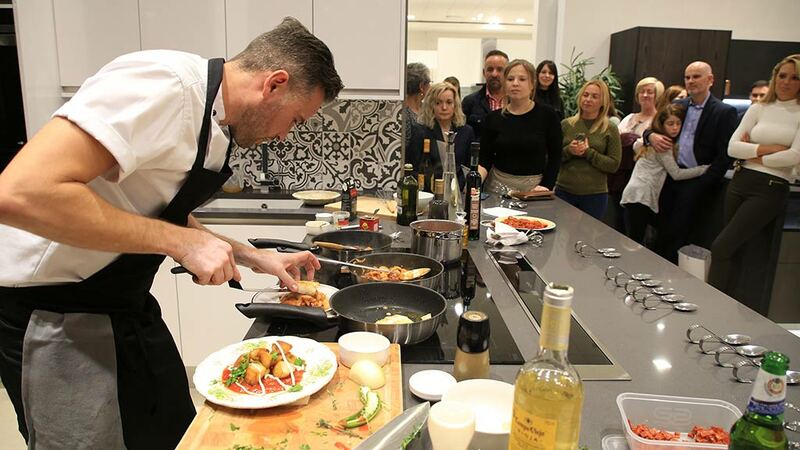 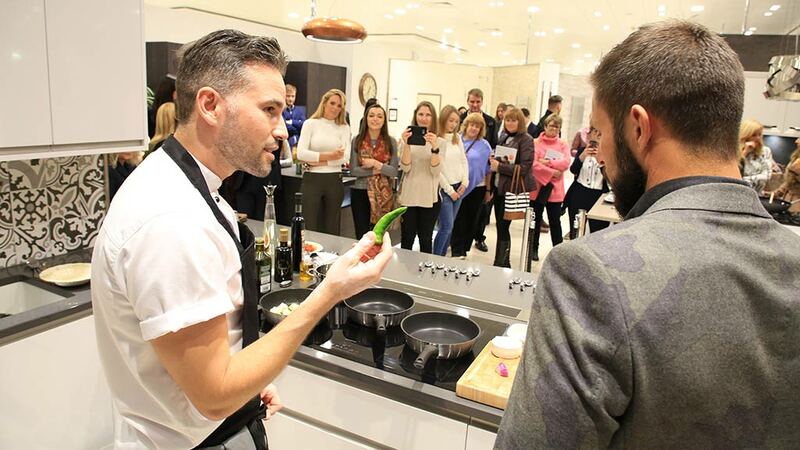 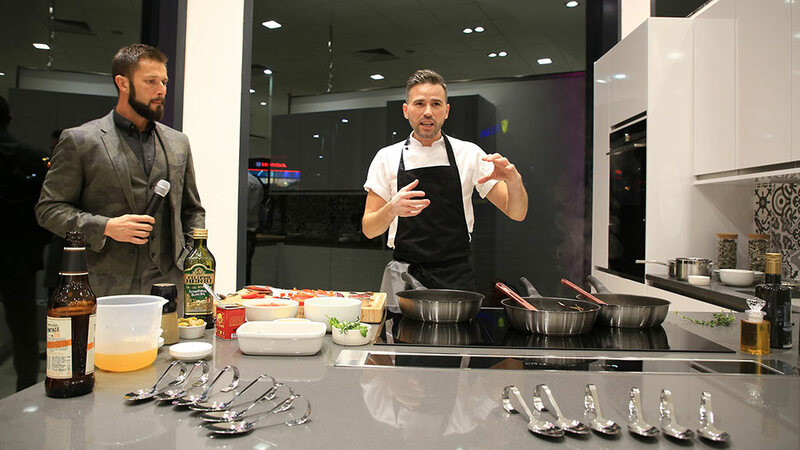 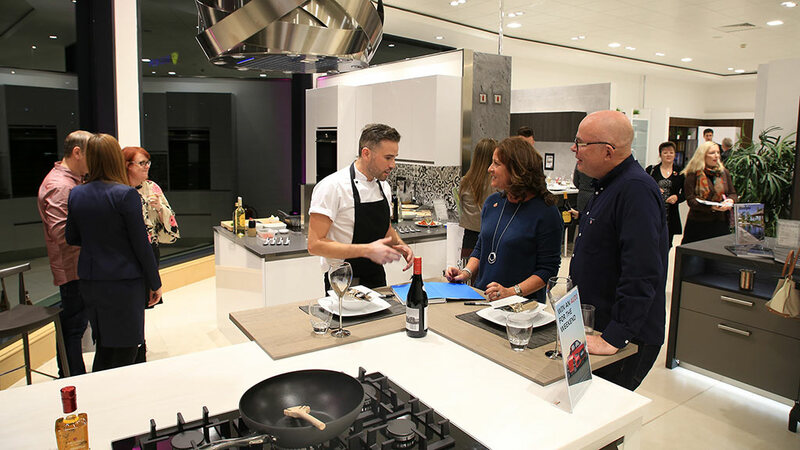 The event gave guests the chance to experience the new displays while Dean Edwards showed off the kitchen’s full potential with a live cooking display.